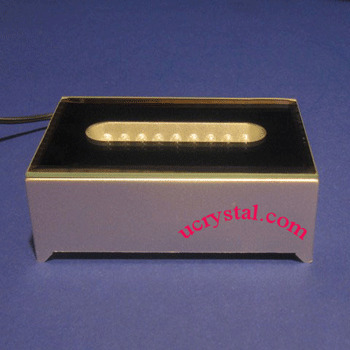 4 LED rectangle light base for 3D photo crystal, crystal glass art and crystal glass figurines. 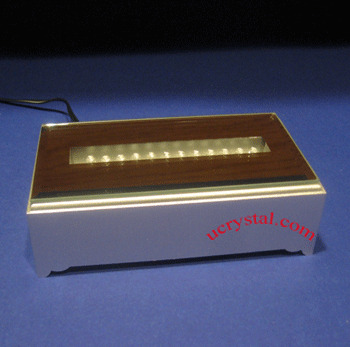 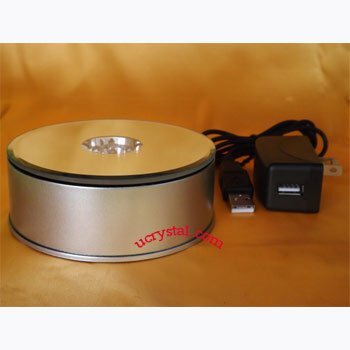 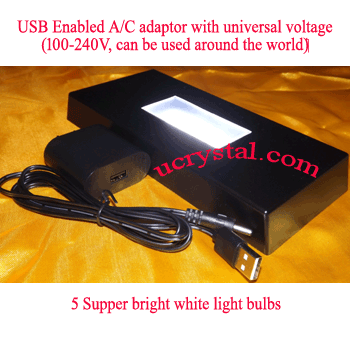 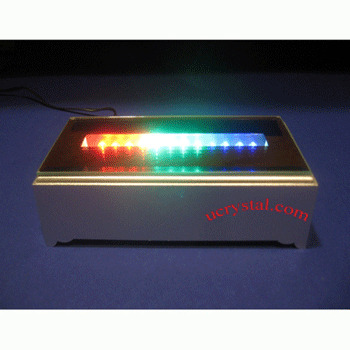 The rectangle LED light base for crystal has 4 bright multicolor LEDs. 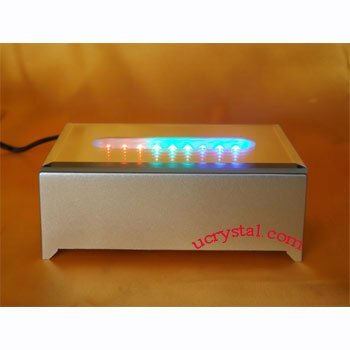 It can be used to enhance the visual effects of you 3D photo engraved crystals, crystal glass art, Swarovski crystal glass figurines, 3D laser cubes, and crystal paperweight. 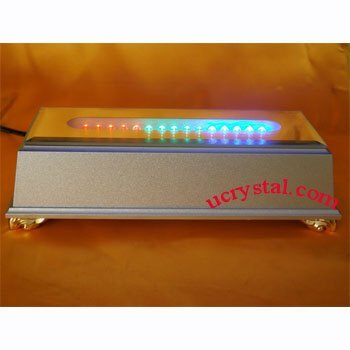 The 4 multicolor LEDs change intensity alternatively, resulting different color combinations. 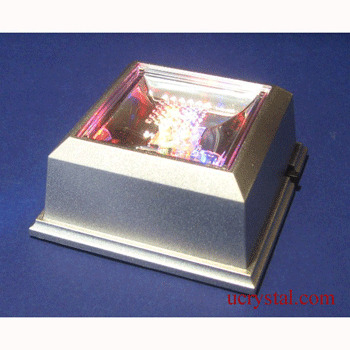 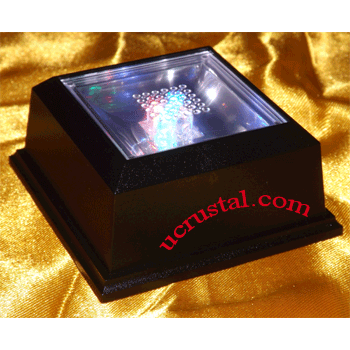 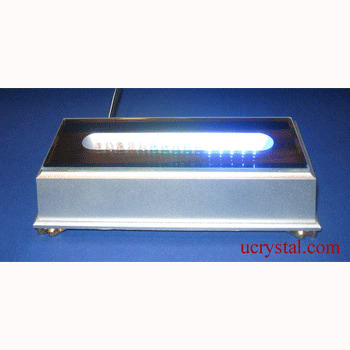 Light base with 4 multi-color LEDs for 2D or 3D laser engraved photo crystals. 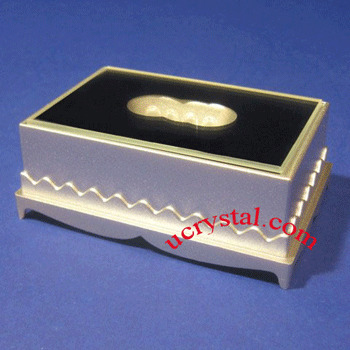 Mirror top 3-1/4" x 2", bottom 3-1/2” x 2-1/4”, height 1-1/4"
Mirror top light aperture opening: 1-3/8 x 5/8". 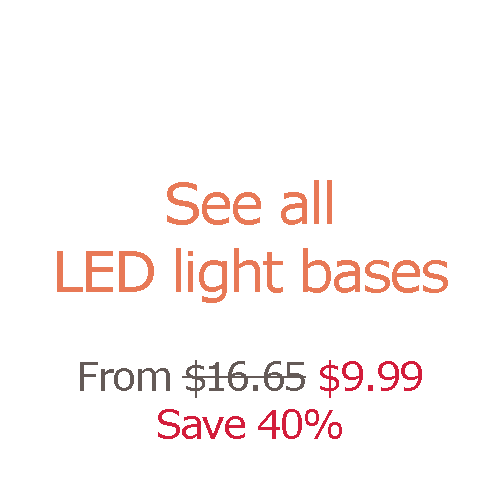 Operated with 3 AAA batteries (not included).